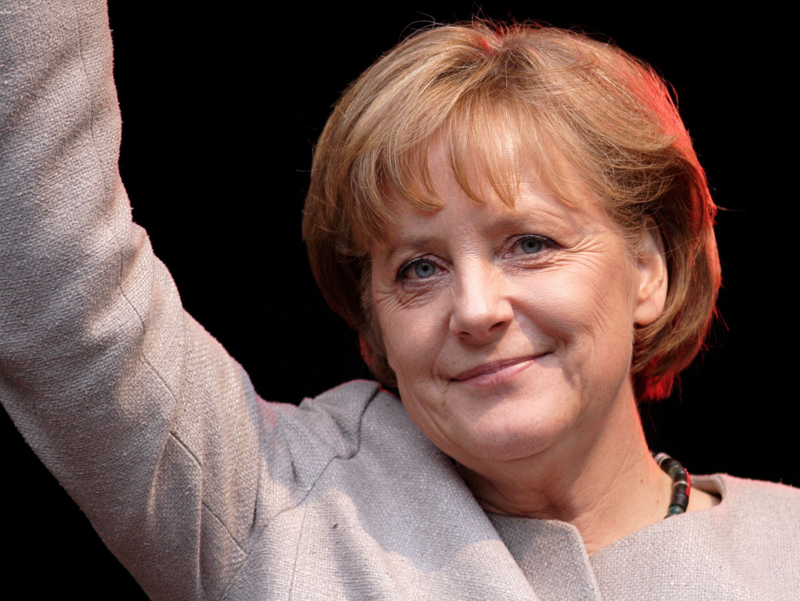 Angela Merkel will serve as Harvard's 2019 Commencement speaker. Chancellor of Germany Angela D. Merkel will cross the Atlantic next May to speak at Harvard’s 368th Commencement ceremony, the University announced Friday. Merkel will be the principal speaker in the ceremony’s Afternoon Program, which will take place in Tercentenary Theatre on May 30, 2019. Merkel, who is often referred to as the de facto leader of the European Union, has served as the chancellor of Germany since 2005. During her tenure, Merkel — a member of Germany’s Christian Democratic Union party — has sought to protect the environment, offered a strong defense of the EU, and worked to address issues of migration. She is the first woman to lead her country. Merkel has earned significant recognition for her achievements; she won the United States Presidential Medal of Freedom in 2011 and was named TIME’s Person of the Year in 2015. She also topped Forbes’s 2018 list of the world’s most powerful women — a nod to her deep, decades-long involvement in European leadership. After almost 30 years of political commitment, Merkel announced in October that she will not seek re-election when her term expires in 2021. University President Lawrence S. Bacow said in a statement that he is looking forward to welcoming Merkel to Cambridge next spring. “Over her four terms as Germany’s chancellor, her leadership has done much to shape the course not only of her nation, but also of Europe and the larger world,” Bacow said. Merkel is the fourth German chancellor to speak at Harvard’s Commencement and the first to do so since 1990. Prior to Merkel, seven Commencement speakers in a row — including the civil rights activist John R. Lewis in 2018 and Facebook founder Mark E. Zuckerberg in 2017 — hailed from the United States. The last non-American Harvard Commencement speaker was President of Liberia Ellen Johnson Sirleaf, who spoke at the 2011 iteration of the ceremony. In addition to giving a speech, Merkel will receive an honorary Harvard degree next May. Margaret M. Wang ’09, president of the Harvard Alumni Association, said in a statement that she is “thrilled” Merkel will be Harvard’s Commencement speaker this spring.